The Natural Park of the peninsula from the Levant (Parc Natural de la Península de Llevant / Parque Natural de la Peninsula de Levante) is a protected area located in the northeast of the island of Majorca, at the northern tip of the Serra de Llevant. 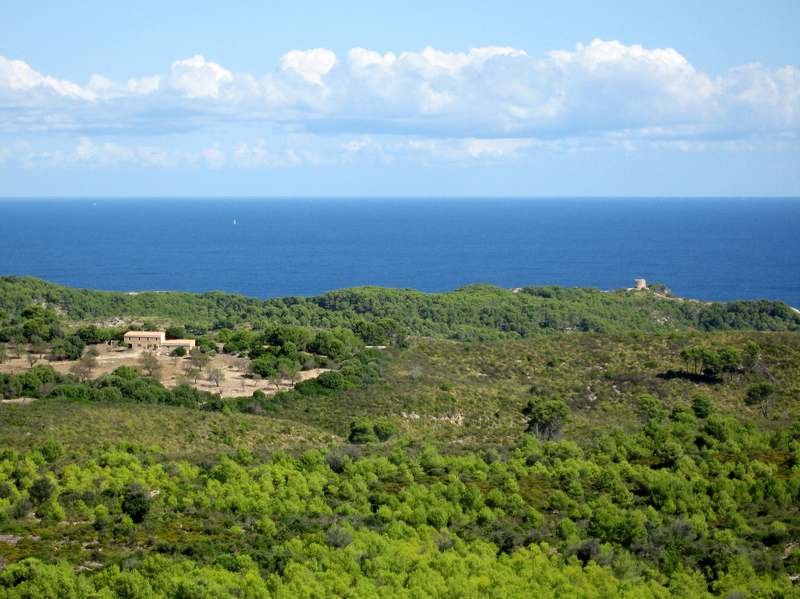 Inside the park there are two nature reserves, the Cap de Ferrutx and the Cap des Freu. The park has many endemic plant species and some protected areas, including avian species (the park is a special protection area for birds). 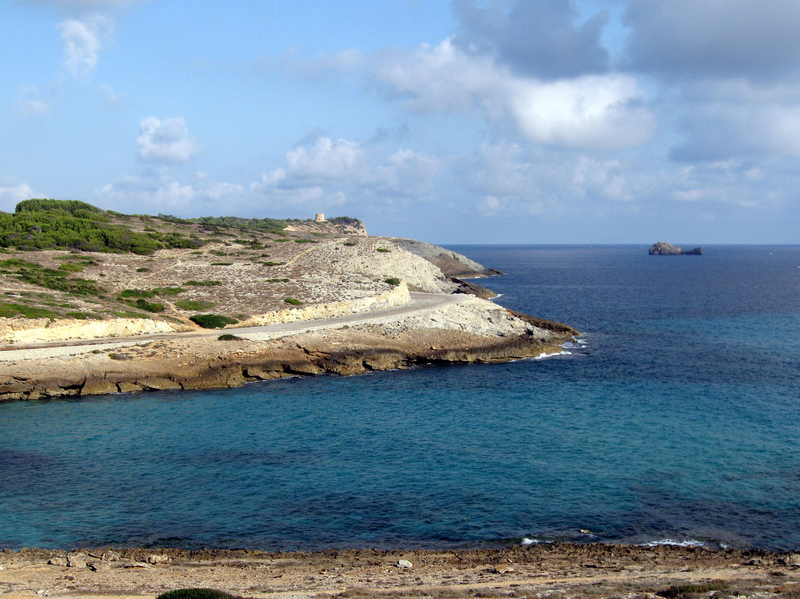 The Natural Park of the East is in the northern part of the county of Levant (comarca de Llevant). 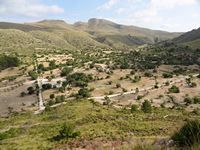 It mainly covers the municipality of Artà, but also in the towns of Capdepera and Son Servera, small areas of the municipalities of Sant Llorenç des Cardassar, Manacor and Santa Margalida (in the county of Pla de Mallorca) also of the Park. The Natural Park of the Peninsula Levant starts about 5 km north of Artà. 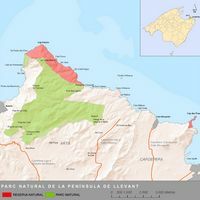 The Parc Natural de la Península del Llevant stretches from Cap de Ferrutx north to Punta de n’Amer south, and the Torrent de na Borges, near Son Serra de Marina, west to the most eastern tip of Majorca, the Punta de Capdepera. 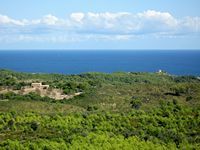 The Park of the Levant includes two nature reserves: the Natural Reserve of Cap de Ferrutx in the north, and the Natural Reserve of Cap des Freu in the east. The Natural Reserve of Cap de Ferrutx includes the mountains of Artà (Massís d’Artà) with the mountain Puig Morei (Sa Talaia Freda) and the mountain of Puig de sa Tudossa to Cap de Ferrutx. The coast of the reserve extends from the Cap de Ses Roquetes west to the beach S’Arenalet des Verger in the east. 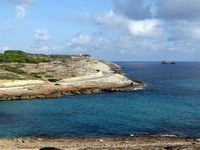 The small nature reserve of Cap d’Es Freu is located in the municipality of Capdepera between Cala Mesquida and Cala Agulla. 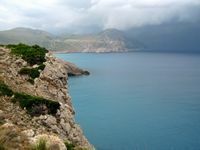 The Natural Park of the peninsula of Llevant has an area of ​​21,507 hectares, including 16,232 hectares of land area and 5,275 hectares of marine area. 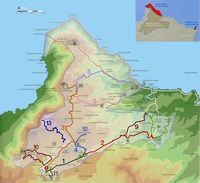 Nature reserves cover an area of 1 671 hectares, 1658 to the Natural Reserve of Cap de Ferrutx and 13 to the Natural Reserve of Cap des Freu. The Park of the Levant is the largest natural park of the island of Majorca. 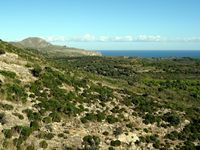 The Natural Reserve of Cap de Ferrutx was formed by the acquisition in 1999 of three fincas, the farms of Albarca (or Aubarca), Es Verger and S’Alqueria Vella. It includes peaks of medium altitude in the northern part of the Serres de Llevant: Puig Morei or Sa Talaia Freda (564 m), the Puig des Porrassar (493 m), the Puig de sa Tudossa (442 m), the Puig de sa Talaia Morella (432 m). 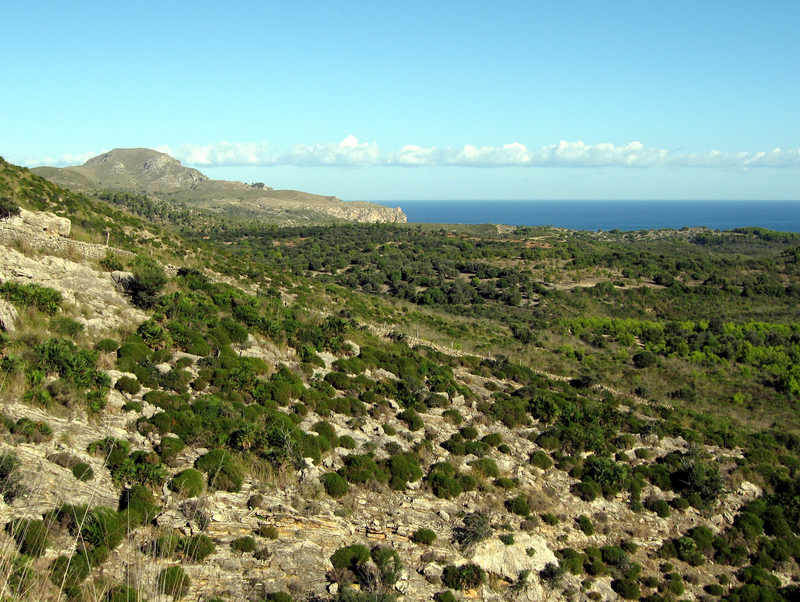 The physical environment of the Reserve is diverse with high mountains, coastal cliffs, caves and sinkholes, springs and streams, forests and scrublands, and secluded beaches (S’Arenalet des Verger, S’Arenalet d’Albarca, etc), perhaps the only two beaches in Majorca still accessible only by foot. This great diversity of environments is the Park of Levant region of outstanding natural beauty. 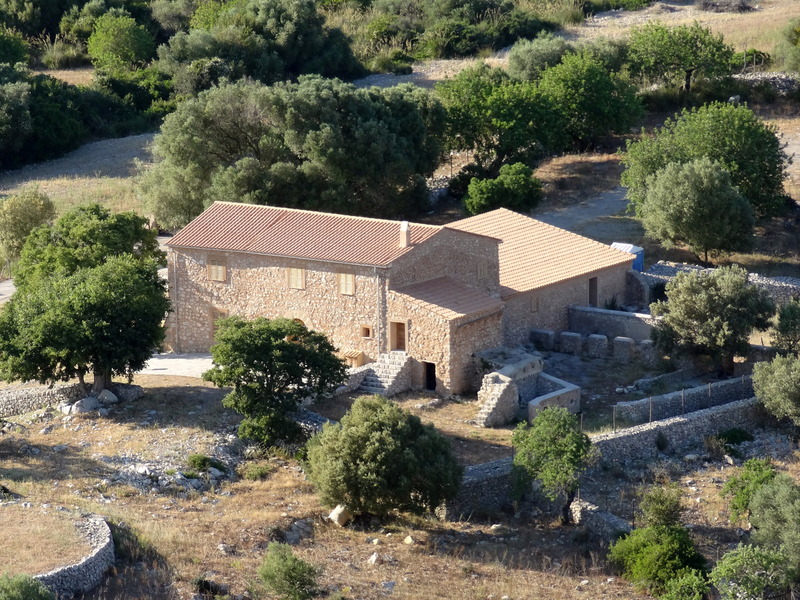 The public entrance to the Reserve is located in the old finca S’Alqueria Vella d’Avall. Since Artà we arrive at the reserve taking the road Ma-3333 towards the Ermita de Betlem, 5 km after Artà, a right turn leads to the Park Information Center, where there is a parking. Another way to reach the Natural Reserve of Cap de Ferrutx is to follow the coastal path named Path of the Carabineers (Cami dels Carabiners) from Cala Estreta towards the west, the way to discover beautiful uncrowded beaches. 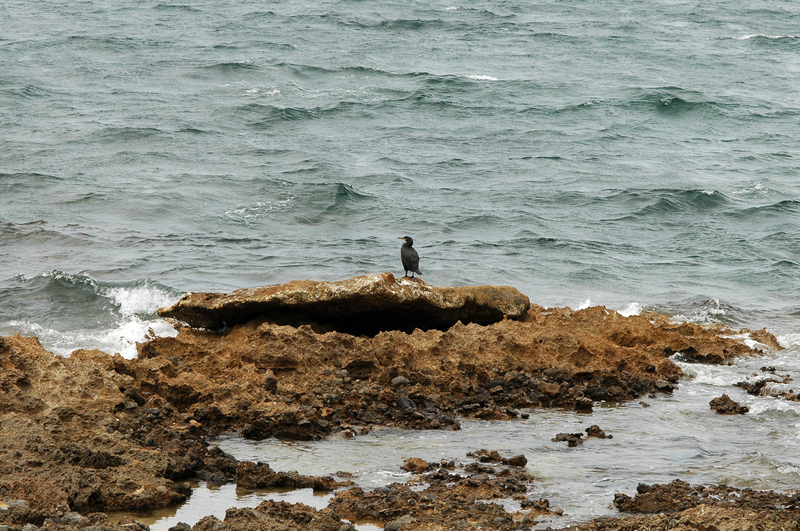 The starting point, the small rocky cove of Cala Estreta, is at the end of the road from Artà to Sa Duaia to the beaches of Cala Torta and Cala Mitjana, about ten kilometers from Artà. At Cala Estreta it is possible to park. The Path of the Carabineers goes north, passes the Cala d’es Matzoc then reaches a medieval watchtower, the Torre d’Albarca, on which an old cannon used to protect the coast of the arrival of pirate ships, under the tower, cliff Sa Falconera home to many hawks. 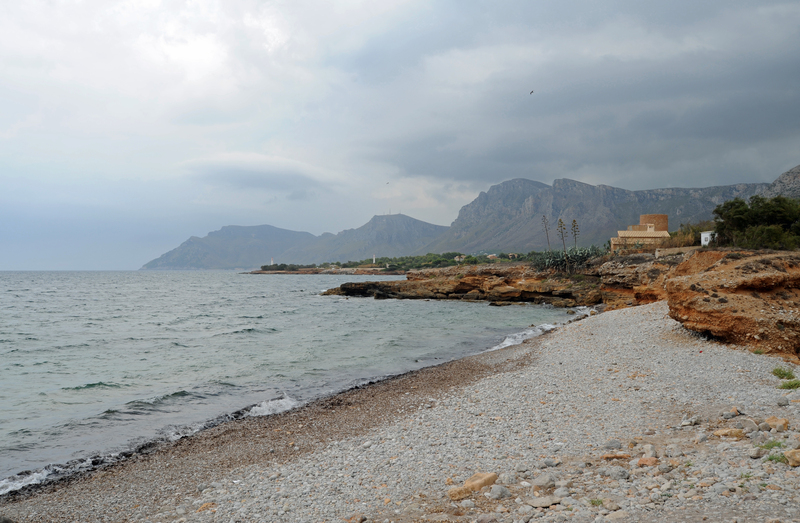 The path then continues westward and reached the beach of Sa Font Celada. After the coastal path from Cala Estreta after about 5.5 kilometers an hour and a half walk, we arrive at the white sand beach of S’Arenalet des Verger to Penya Roja ("Red Rock"). 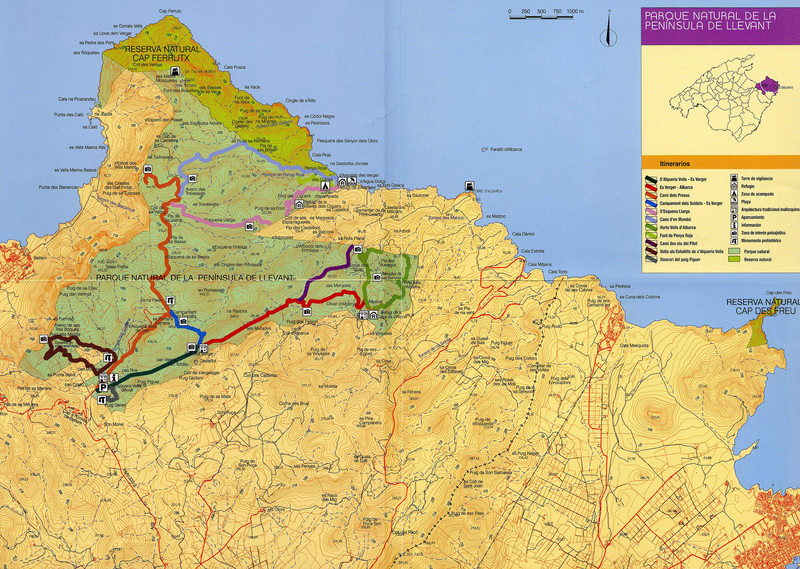 Beyond S’Arenalet des Verger, the coastal path of the Carabineers becomes less feasible. The Natural Reserve of Cap des Freu is located between Cala Ratjada and Cala Mesquida on the town of Capdepera, there are the Talaia de Son Jaumell, which rises to 271 meters. 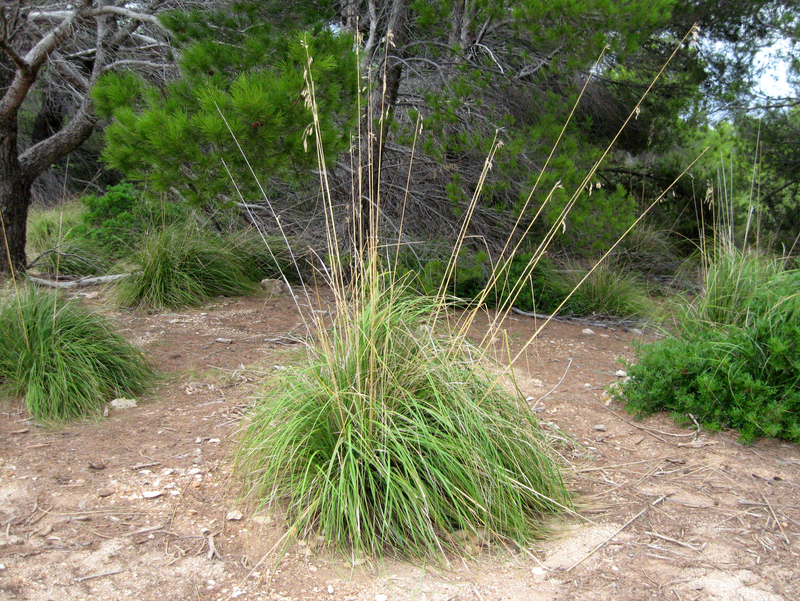 The largest part of the Natural Park Peninsula Levant consists of scrubland (garriga). This open vegetation is the result of grazing management by old farms that operated the land before the creation of the Park, the burning of pastures is frequently used to keep open land for sheep and goats, which resulted in the disappearance of native forest in this area. Only a few small mixed forests, consisting of holm oak (Quercus ilex) and Aleppo pine (Pinus halepensis), were maintained in some gullies and river banks (torrents), the lights were spared. 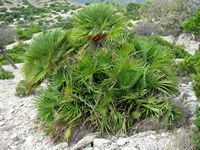 Burning have encouraged the proliferation of species that grow easily as "sedge of Mauritania" (Ampelodesmos mauritanica), named locally carcera, carritx or carrizo, and the dwarf palm (Chamaerops humilis), named garballó. The abundance of these palms has made ​​it possible, in the late nineteenth century, a craft of basketry the palm, there is still a craftsman who performs this activity. 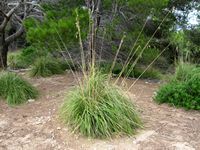 A large number of endemic species, however, we encounter Balearic Islands as St. John’s wort (Hypericum balearicum) and marine germander (Teucrium marum subsp. occidentale), known locally as the "coixinet de monja" ("cushion of nun"). The park has, in addition, an extensive cultivation of olive, almond, fig and carob trees, but the development of tourism has caused the phasing out of these activities in less profitable areas. Regarding wildlife, the Park has a population of Mediterranean tortoises (Testudo hermanni hermanni), where a breeding program has been established. 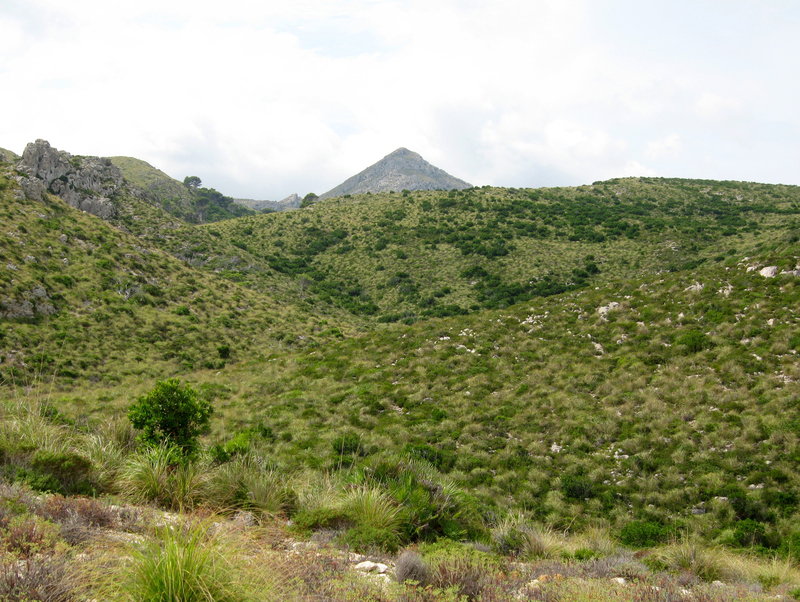 The snail of the Balearic Islands (Iberellus balearicus), the cave pseudoscorpion (Chthonius balearicus) and the Balearic green toad (Bufo viridis balearica) are also present. In order of mammals, we note the presence of hedgehog Algeria (Atelerix algirus), the common genet (Geneta geneta) and pine marten (Martes martes). Among the birds that nest there is the booted eagle (Hieraaetus pennatus), the peregrine falcon (Falco peregrinus), Eleonora’s falcon (Falco eleonorae), Audouin’s gull (Larus audouinii), the great cormorant (Phalacrocorax carbo), the shag (Phalacrocorax aristotelis), and - more rarely - the osprey (Pandion haliaetus), Àguila peixatera and the Egyptian vulture (Neophron percnopterus), locally named moixeta voltonera and the Balearic Warbler (Sylvia balearica). It is not uncommon to see in the park beautiful red kite (Milvus Milvus), through the project to revive the species in the park - where she lived in the past - the reintroduction of juveniles. The Park is classified as a special protection area for birds. Apart from these species, rather discrete, the number of wild goats is remarkable, thanks to the open landscape and the rocky coast that provide them suitable habitat. marked in orange - - No. 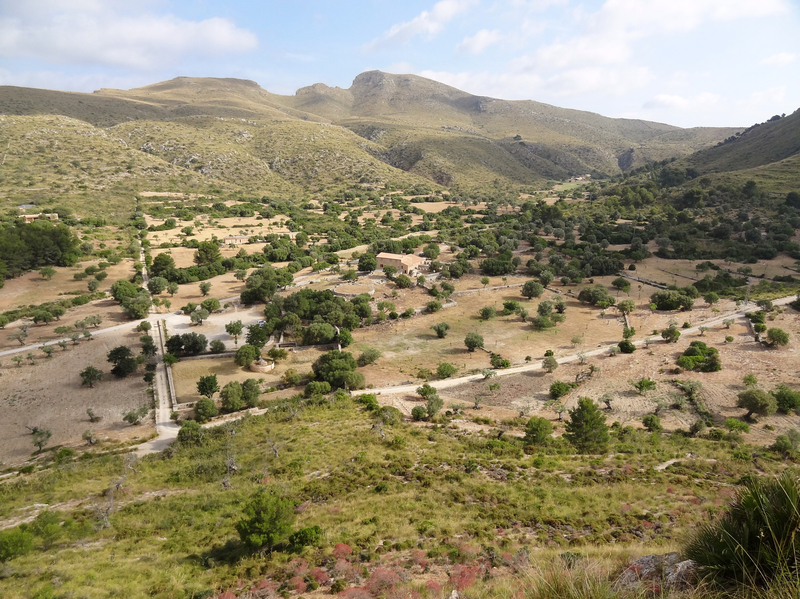 3 road leads north to the ruined buildings of "Campament des Soldats" (a former camp of so-called "republicans" prisoners during the civil war), and to Puig de Sa Tudossa. arrived at Puig de Sa Tudossa, we can take two different paths to the east towards the beach S’Arenalet des Verger, number 6 way - marked in light blue - and the path number 5 - marked in pink. The park has three houses, or shelters, which are old farmhouses: the refuge de la casa de s’Alzina (Albarca), the refuge caseta dels Oguers and shelter S’Arenalet. 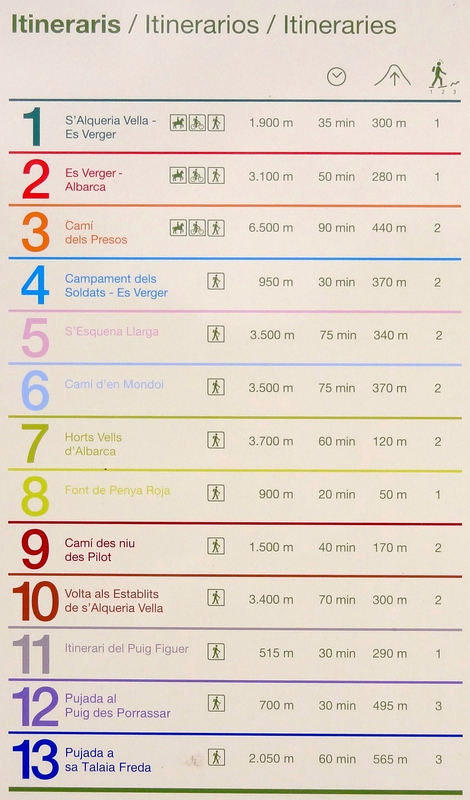 The Office Park (Carrer de l’Estel, 2, in the center of Artà - practically on the Plaça d’Espanya -, Telephone: 00 34 971 836 828) provides maps of the routes.